The BBC has recently reported that “E-Learning for Africa [is] held back by power shortage”. Digital supplies in African regions without access to traditional teaching supplies could provide a cost effective approach to education in less economically developed nations. My Learning UK Ltd developed our “Expedition” software specifically to battle these issues. Our “black box” works in isolated locations and provides its own wireless network. The internet isn’t available, but learning resources can be shared with students and teachers can also receive students’ work back. The box can even connect to 3G networks if they are available in the area. All the content required by these schools can already have been loaded into the VLE before they receive it. This would mean books, lesson plans, videos, images and more could be available in the middle of a desert if needs be! Innovative approaches to resolving this issue are the reason the article by the BBC announced there is “Huge Potential” for e-learning in the region. "E-learning gives us a great opportunity to supplement these kids' learning at a massive scale," says Ms Ligon, whose company's television output reaches over 1.5 million households in Tanzania, Kenya, Uganda, Rwanda and Ghana. "We see e-learning as a huge opportunity to equalise the access to learning material for the majority of schools in Africa that are under-served financially or academically," said Nivi Mukherjee, president of education at Kenyan company BRCK. The issue is, of course, the shortage of a power supply. 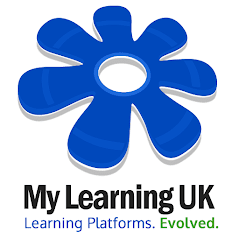 The lack of internet in the region can be overcome, however for any e-learning technology to function- such as the “Expedition” box by My Learning UK Ltd-electricity must be provided. African officials have been exploring solar power and Jesse Moore, head of Kenyan pay-as-you-go provider M-KOPA Solar, says "I would bet that in a decade's time, distributed solar power ends up as the primary power source for half the population,” which would allow for e-learning to become an integrated aspect of teaching in Africa. Our “Expedition” product has been itching to deliver learning materials to schools in need all over the world. Let’s get powered up!